Goldcoast Ballroom & Event Center | Very Exciting!!! - SPECIAL MASTER WORKSHOP - 'STAY CONNECTED' - WITH U.S. PROFESSIONAL CHAMPIONS ALEXANDER & VERONIKA VOSKALCHUK!! - Saturday, April 28 - 1:00 PM - 2:00 PM - Book Private Lessons for Before or After the Workshop! Currently 3rd in the Nation!! U.S. Open Professional Ballroom Champions at USDC 2017. 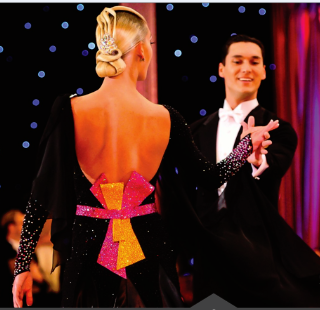 5 Times U.S. National Professional Ballroom Finalists – and Currently 3rd in the Nation!! Saturday, April 28, 2018 (1 PM to 2 PM)! !